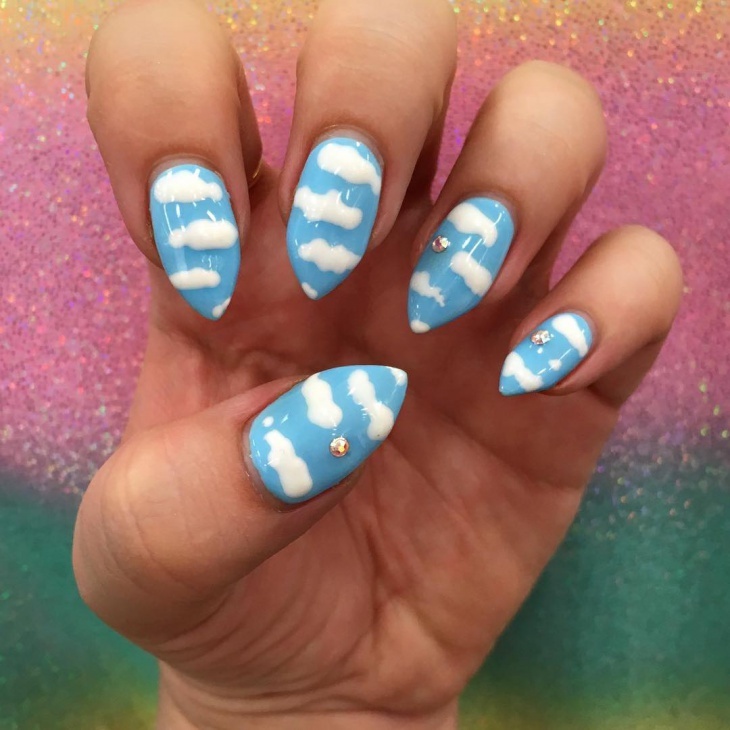 Tired of the usual Nail Art? 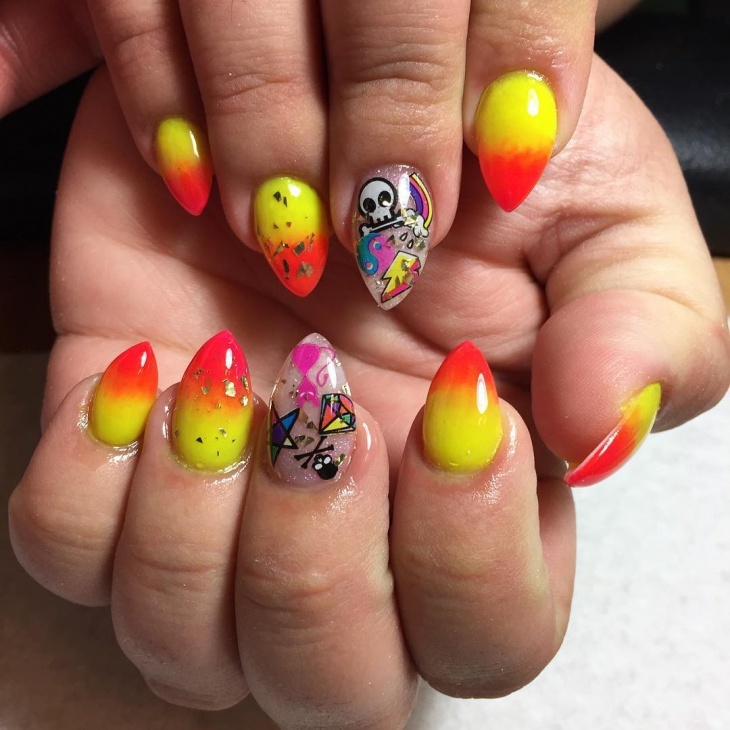 Retro Nail Art is the word on the street for all you Nail Art lovers, and with a little creativity, you can surely go places. 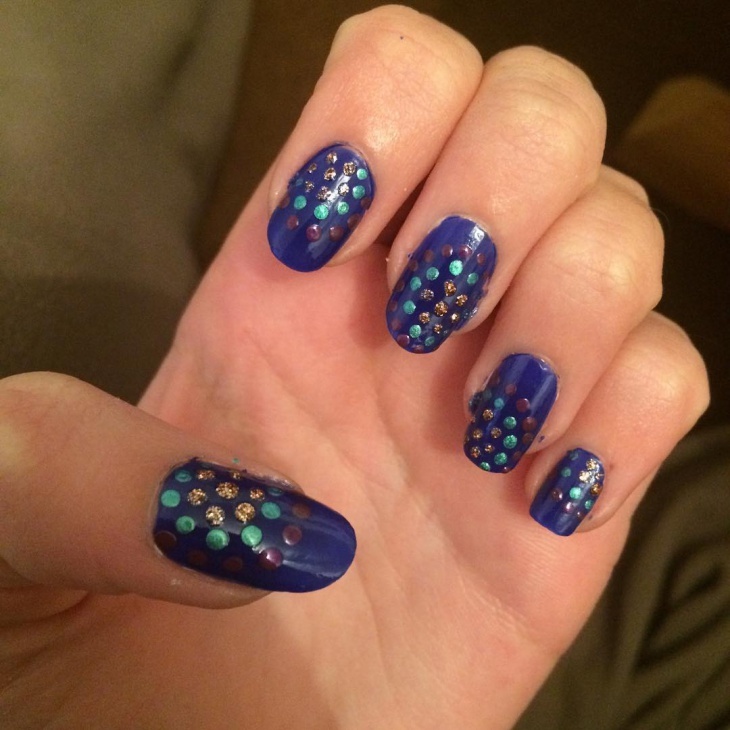 There are a range of designs to choose from for your nails. 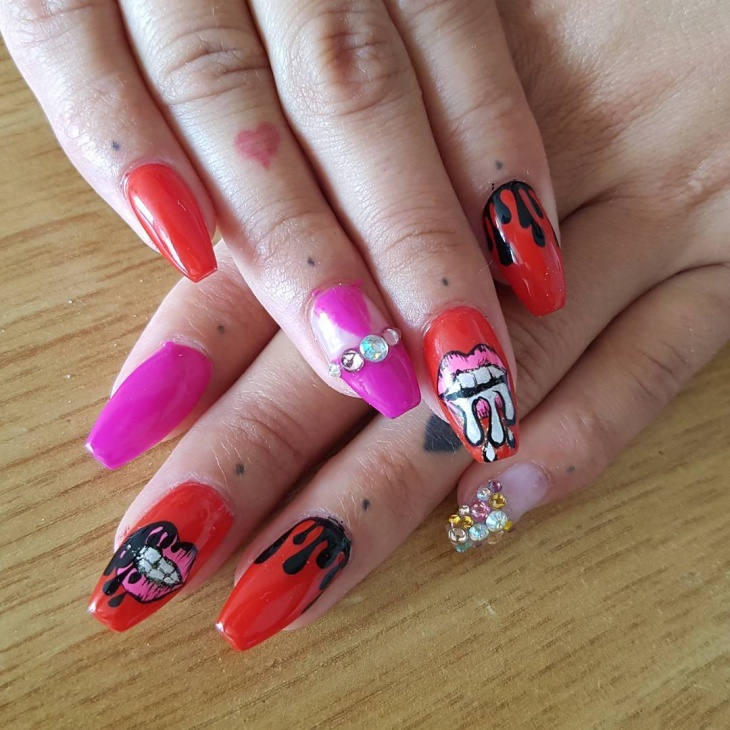 It can be a little hard to get creative with claw nails, and here is an all new idea to pull off claw nails without looking messy. 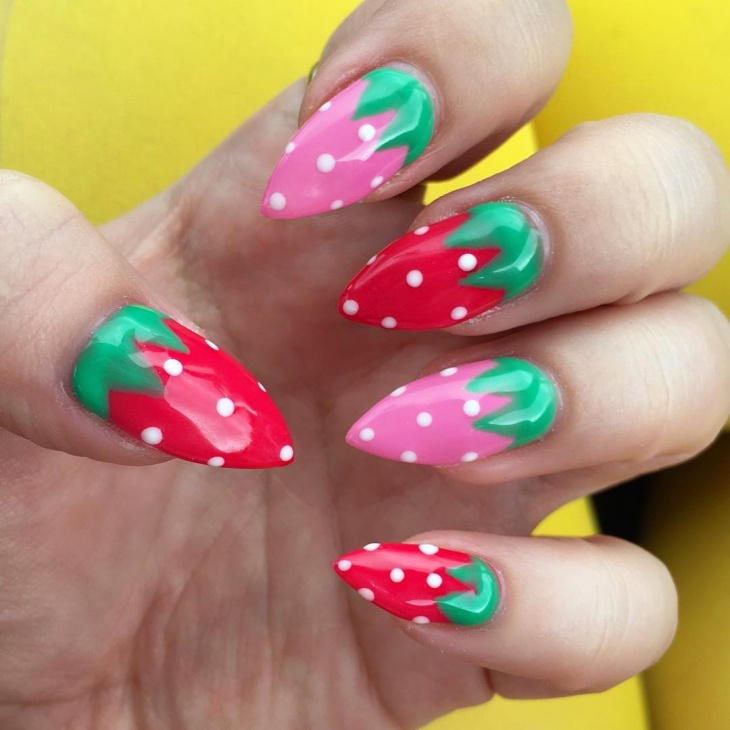 Strawberry Nail Art takes some skill to master, the trick is to paint on the color of the strawberry first. You can choose both red and pink, or you can mix up the colors. 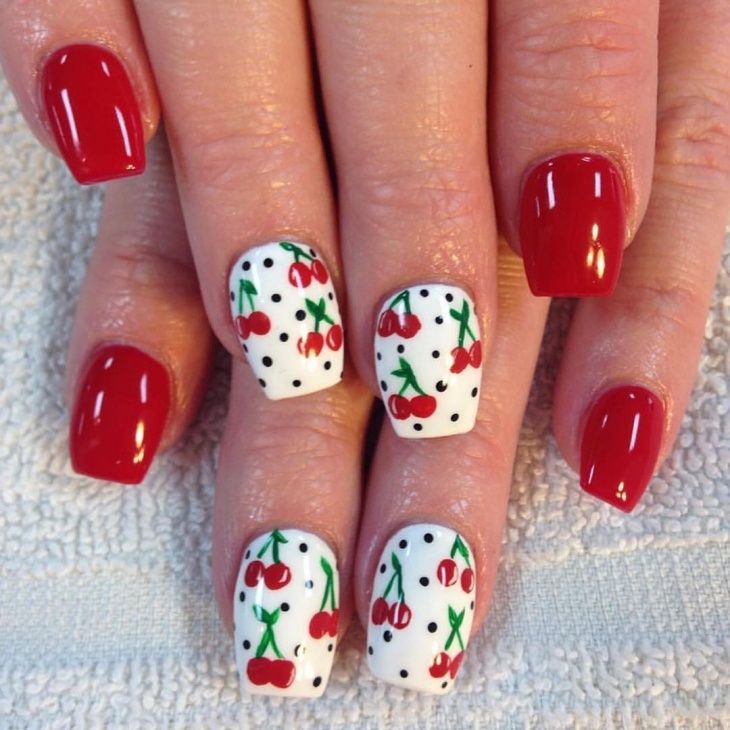 Once the foundation is laid, proceed to paint on the strawberry leaves at the bottom side of the nail, and the finale, the small polka dots to make it look like the strawberry and you are good to go. Pulling this off could be a little hard for the amateurs, however it is as easy as it looks. This could go perfectly for a Valentine’s Day theme. 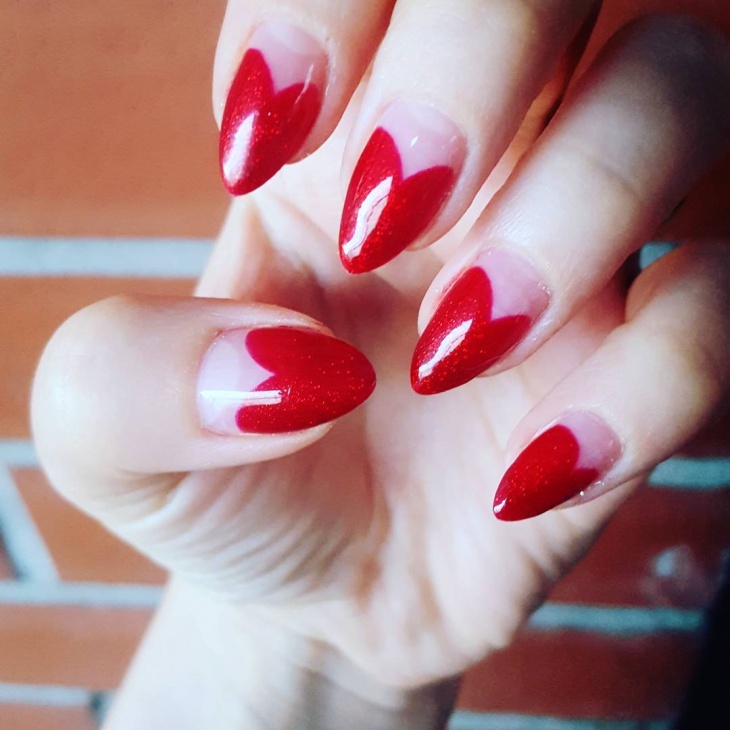 Paint on a heart with dark red nail polish with a splash of glitter and you are all set for a fun night out! 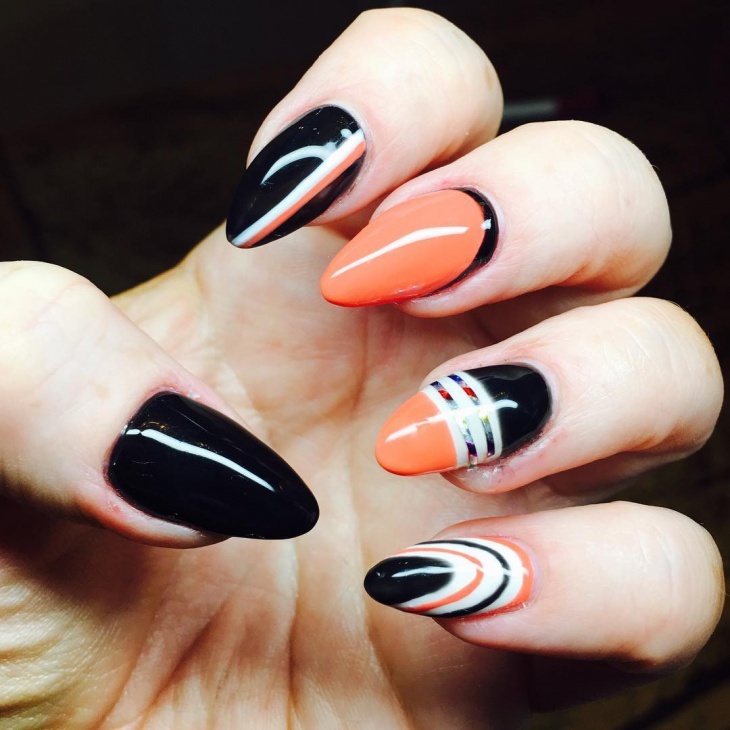 Bring the 70’s look to your new Nail Art design with the Retro Nail Design. The trick is to mix up the colors, and use decals. 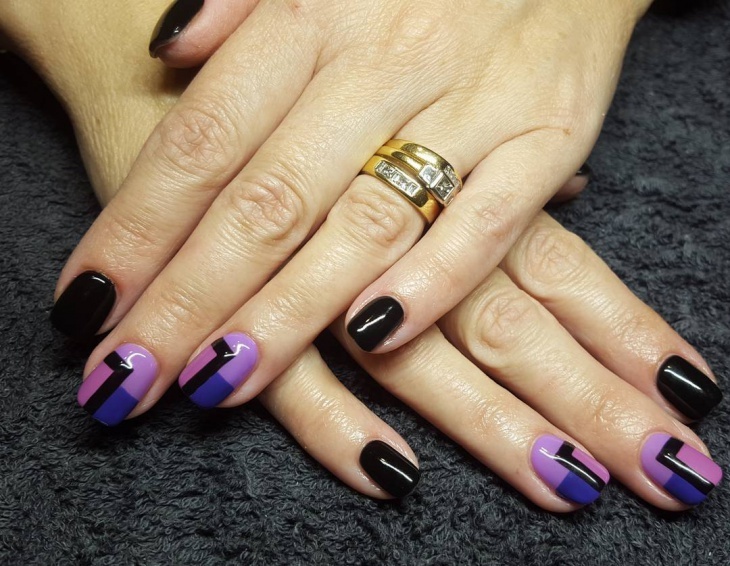 The decals will help you get the retro shape of your choice and the blending of the colors add to the design. Try putting in contrasting colors that complement each other. 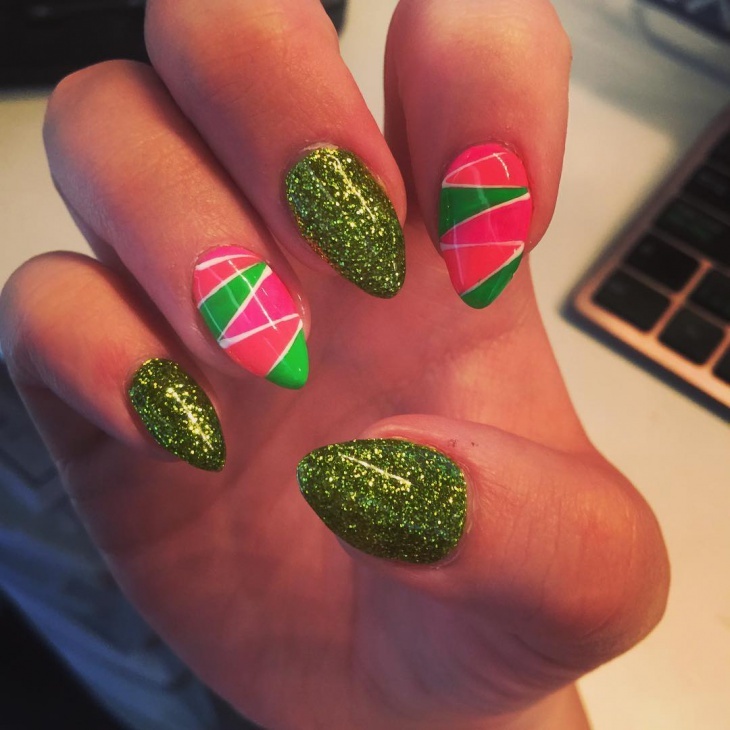 Relive your High School years with the Classy Pink Glitter Nail Art. 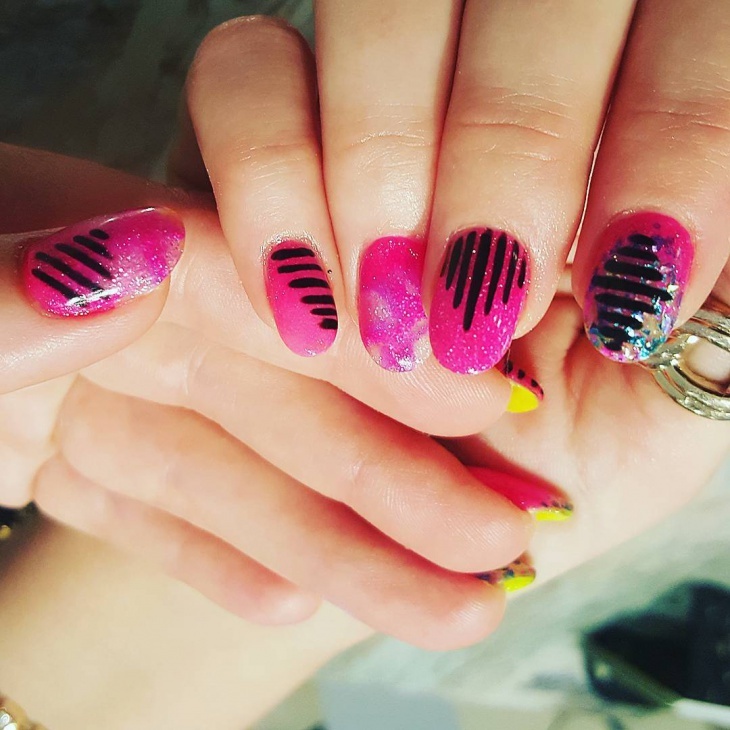 Just paint on some Pink Glitter Nail polish as the base and go crazy with creativity by painting on stripes or patterns over the Pink Glitter. 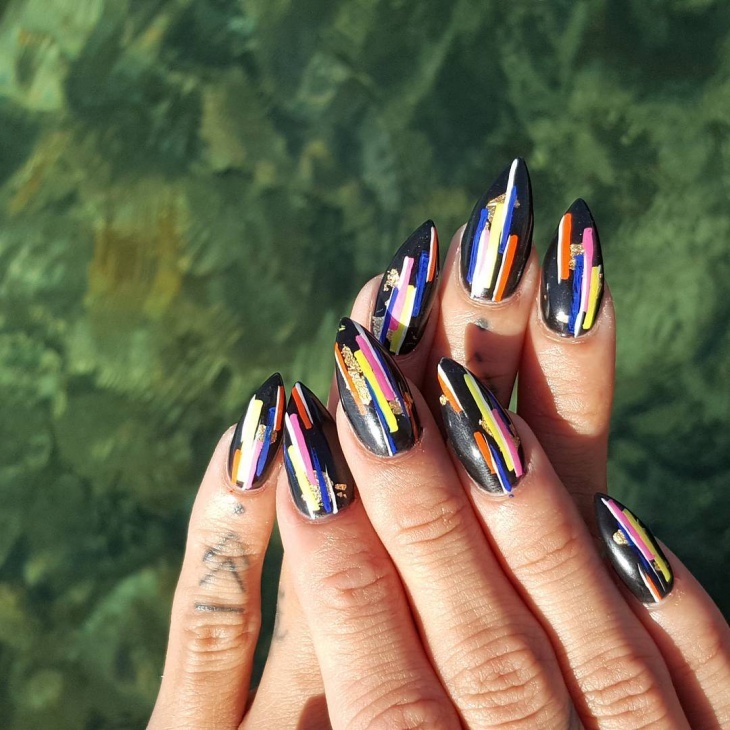 ￼Long Nails may be hard to maintain but they are excellent for Nail Art Design. 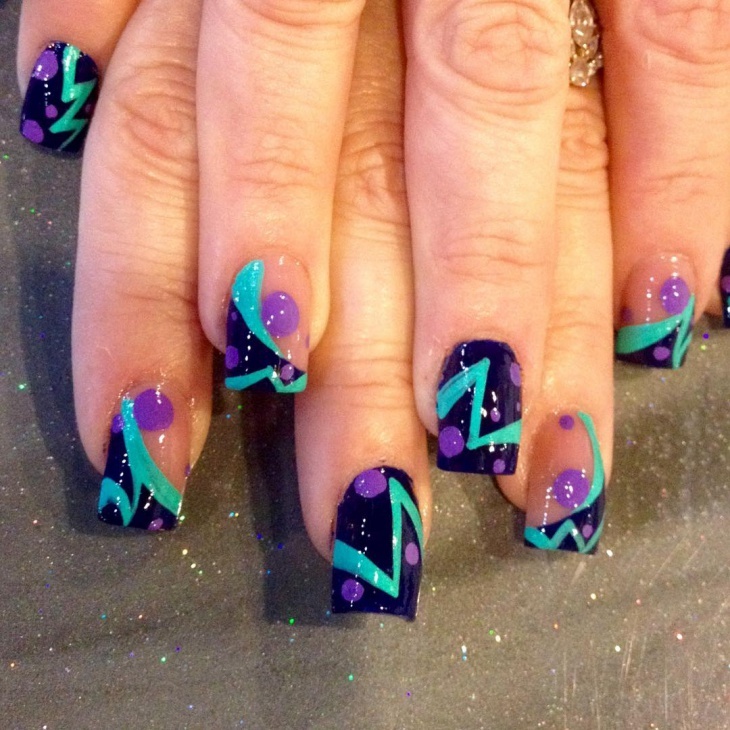 Try this uber cool tribal retro design. You can alternate the design and put in bubbles of other colors with lighter and darker shades of complimenting colors such as Sea Green, Navy Blue and Purple. 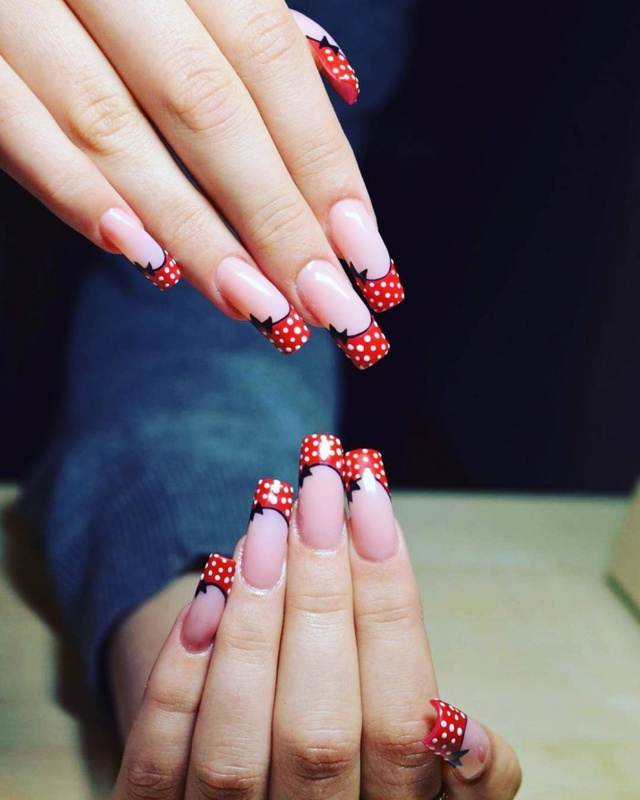 ￼The Bow Nail Art is a very chic design yet very simple. 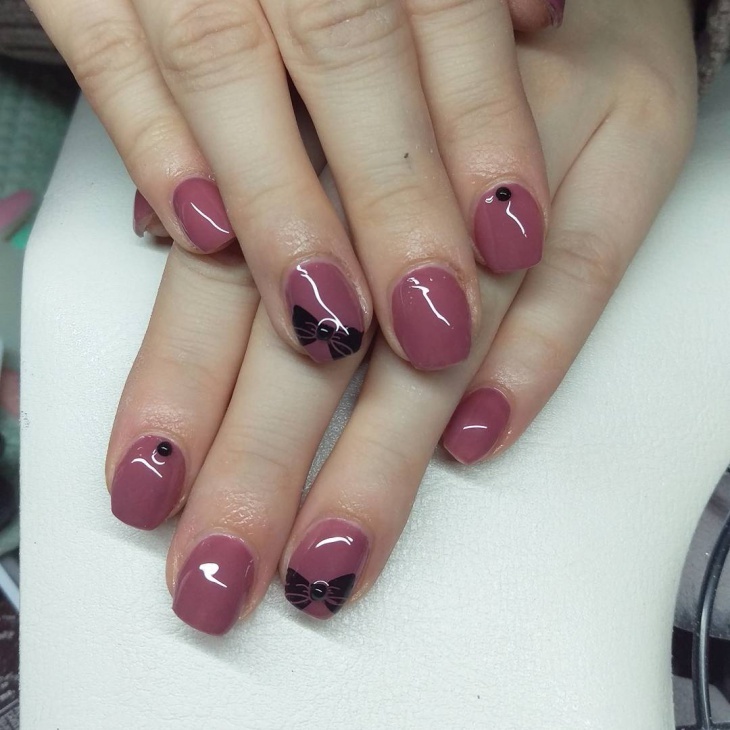 Put on a dark shade of Nail Gel and paint on a darker shade of a bow. You can paint on the bow in any manner and you can choose which nail to paint the bow on. 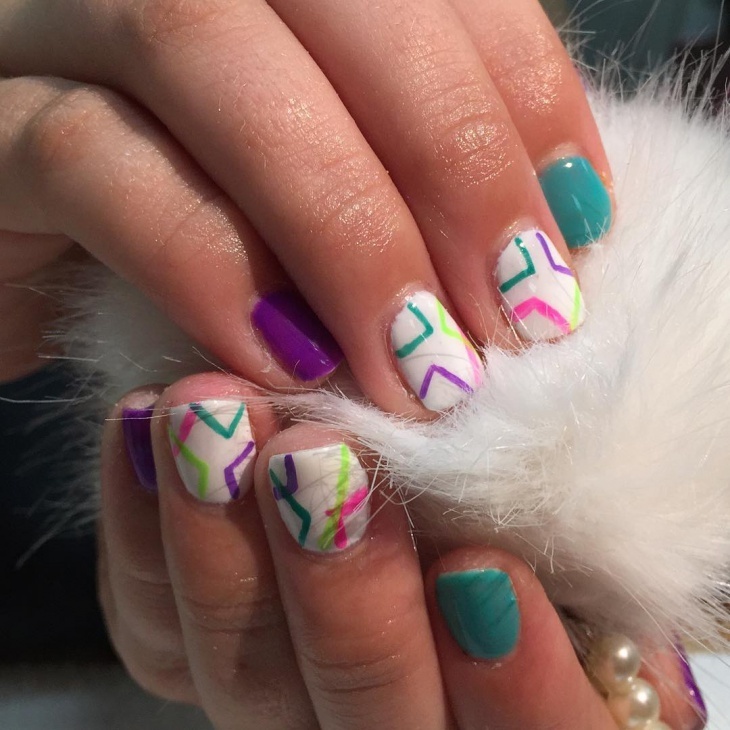 ￼Pick out your colors and lay the foundation for the nail by painting out the outlines of triangles or boxes or any other retro design. Fill in the colors, you can alternate between pink and black or pink and white. 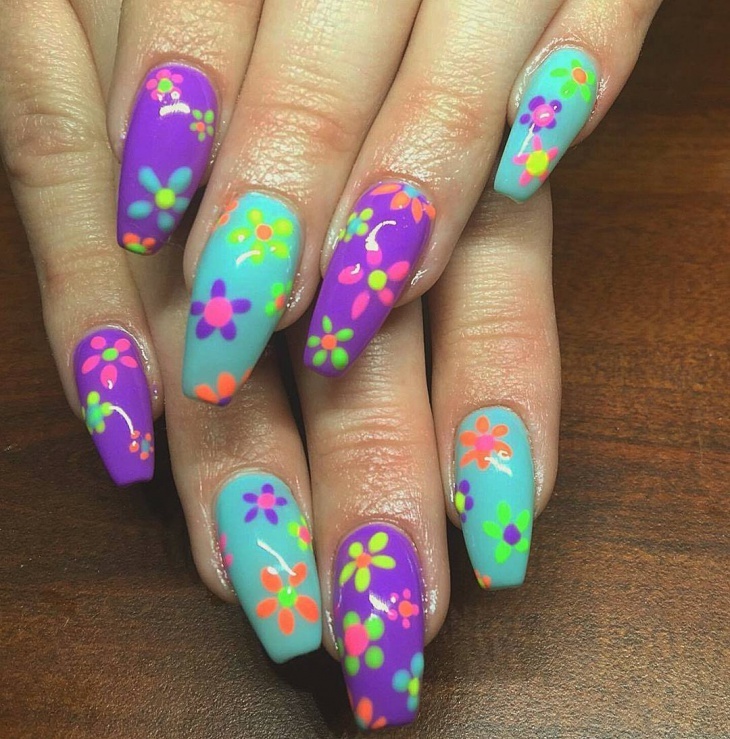 ￼Floral Designs are quite popular among nail artists because of their appeal. Paint on a base color and continue to paint the petals with a contrasting color. Then draw on the center of the petals to complete the floral design. 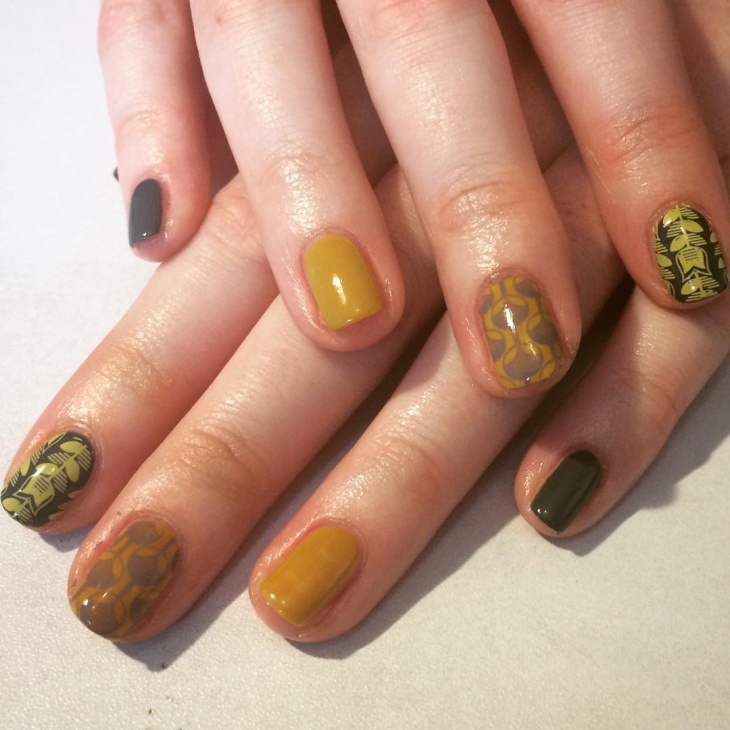 You can go for either one or many flowers with your own patterns. We love mickey mouse and we love this design. We like that it is is subtly put and very neatly designed. 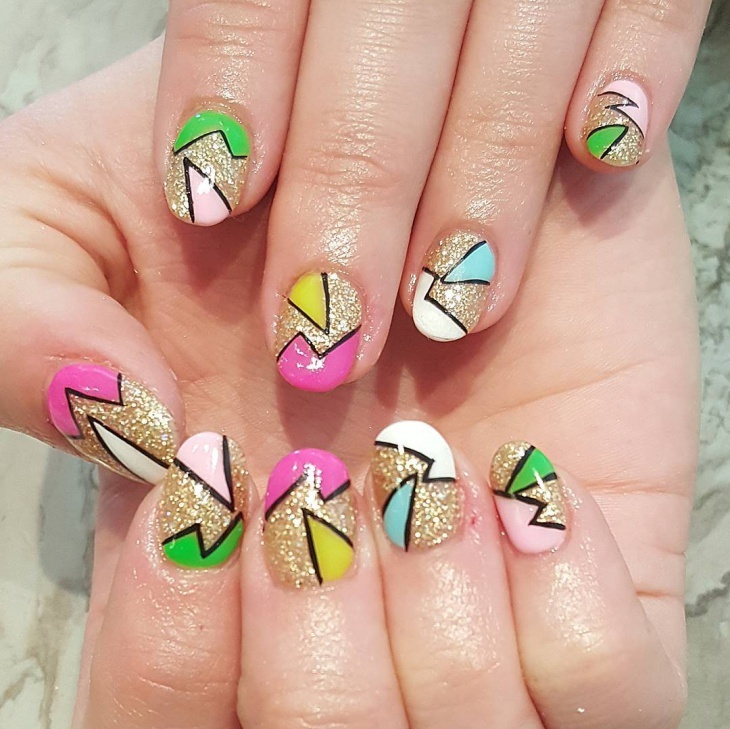 Pick out your colors and lay the foundation for the nail by painting out the outlines of triangles or boxes or any other retro design. 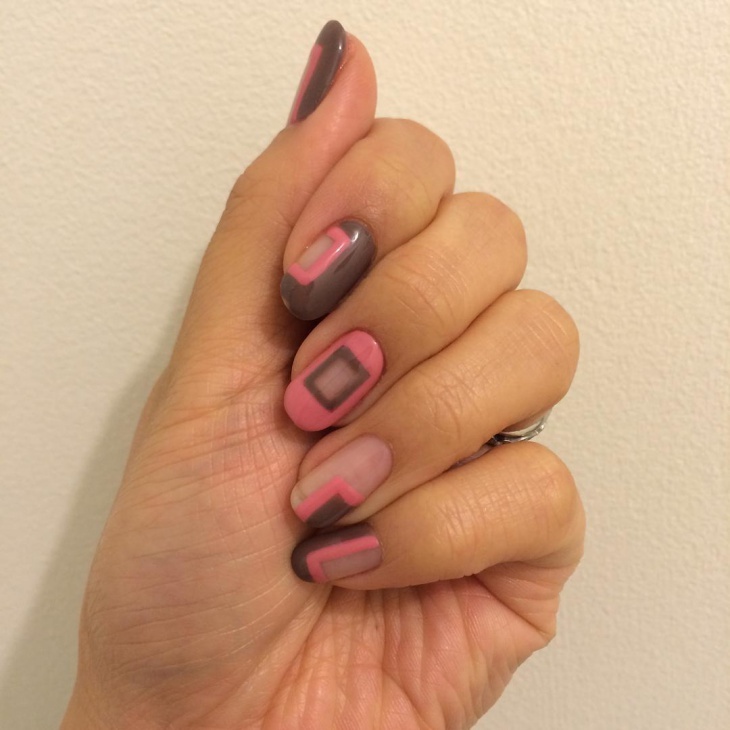 Fill in the colors, you can alternate between pink and black or pink and white.